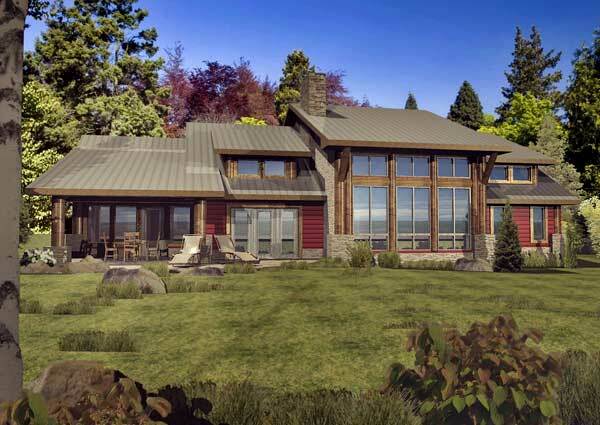 This one-level log home is sleek and sophisticated. Guests are greeted warmly in the sun-filled foyer room with ample closet space for belongings. Entertaining is pure pleasure with the kitchen, dining and greatroom open to the patio. The butler pantry features an arched entry with wine cell, freezer and wet bar. 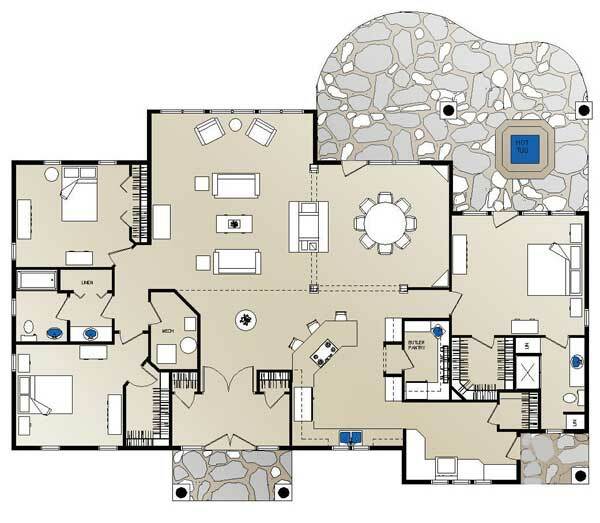 Three bedrooms are hidden throughout this ranch design. Modify this plan to fit your family's needs, style, location and budget.